David Guy has devoted the past several decades to advancing economic interests that promote the conservation of California’s special places and their precious water and land resources. He blogs at: Water Food and The Environment. 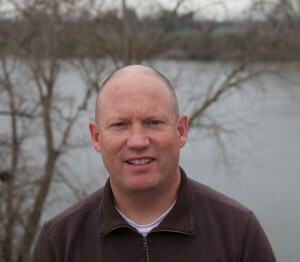 David was named the President of the Northern California Water Association (NCWA) in June 2010. He previously served as NCWA’s Executive Director from 1999 to 2007. In this position, he helps bring diverse interests together–with support from an inter-disciplinary team of experts–to foster regional sustainability for farms, cities, wildlife refuges, fish and recreation in the Sacramento Valley. David works closely with Congress, the state legislature and state and federal agencies, and water suppliers throughout the state to showcase the special attributes of the Sacramento Valley and to further NCWA’s mission – to advance the economic, social and environmental sustainability of Northern California by enhancing and preserving its water rights, supplies, and water quality. From 2007 to 2010, David and his family were in Yosemite National Park, where David was the Chief Executive Officer for the nonprofit Yosemite Association, which forges connections between people and Yosemite National Park. He led the merger of the Association with the Yosemite Fund, which has come together as the Yosemite Conservancy. David has also performed pro-bono work for the non-profit Redwood Park Associations. In Yosemite, David and his wife Ingelise were honored as visiting squires for the Christmas Eve Bracebridge Dinner in 2009. David has served Of Counsel to Somach, Simmons and Dunn, where he represented public, private and nonprofit clients on all aspect of natural resources law and policy, including water, land use, and real property. He has also served as water counsel for the California Farm Bureau Federation. David is an adjunct professor at San Joaquin College of Law and he is a frequent lecturer on natural resources issues in California and the western United States at Universities, conferences and seminars. He has published more than two dozen articles and chapters on natural resources management and law in professional journals and law reviews, as well as articles on backpacking, libraries and the history of Sacramento. He currently serves on the Water Education Foundation Board of Directors; the California State University Water Resources and Policy Initiatives Advisory Committee; and he previously served on the University of California Advisory Committee for the Water Resources Center in Berkeley. David has advised California Governors over the past several decades on natural resources law and policy and he has been appointed by Governors Schwarzenegger, Davis and Wilson to serve on various boards and councils that advise federal and state officials on long-term solutions to California’s Bay-Delta ecosystem. With respect to agriculture, David is a recognized voice for the preservation of viable farmland and the attendant open space and wildlife values. He is a graduate fellow of the California Agricultural Leadership Program. He was appointed by Governors Davis and Schwarzenegger to the Sacramento County Fair Board, where he served as President. He has also served on the Agricultural Advisory Committee for the California State Fair. David is admitted to practice jurisprudence in California and Colorado, before the U.S. Supreme Court, the federal Ninth Judicial Circuit Appellate Court and the U.S. District Courts for both the Northern and Eastern Districts of California. He has served as Vice Chair of the American Bar Association’s Water Resources Committee and the Task Force on Agricultural Management. He is a graduate of the University of Colorado School of Law where he was a fellow at the Natural Resources Law Center. He also has a bachelor’s degree in Geological Sciences from California State University, San Diego, where he graduated with distinction. He has actively coached youth baseball and soccer for over the past decade. David and his wife Ingelise have three children who all love interesting food and the outdoors. They have traveled extensively in Latin America and they split their time between the Sacramento Valley and the Sierra Nevada.